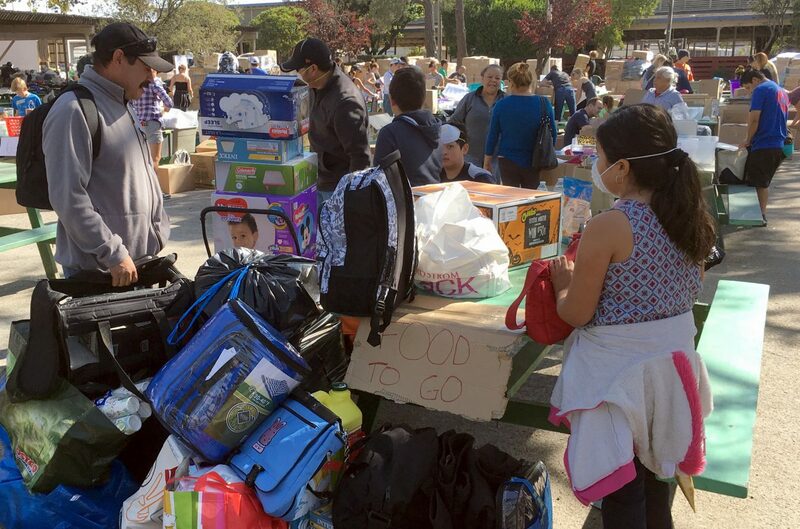 File - In this Oct. 15, 2017 file photo, wildfire evacuee Francisco Macias, a landscape worker from Santa Rosa, Calif., collects donated blankets, baby diapers and food supplies for his family at the Sonoma-Marin Fairgrounds in Petaluma, Calif. Residents in California wine country are increasingly worried about the ability to pay their bills as wildfires drag on. Macias, a landscaper in the city of Santa Rosa whose clients included a now-burned Hilton hotel, fled the fires last week. In the following days, Macias and his wife made the hard decision not to pay their mortgage when it came due. Crews chop down branches and trees as they battle a wildfire Tuesday, Oct. 17, 2017, near Boulder Creek, Calif.
Fire crews build a containment line as they battle a wildfire Tuesday, Oct. 17, 2017, near Boulder Creek, Calif.
Debbie Wolfe stares at the broken figurine, she found in the burned ruins of her home Tuesday, Oct. 17, 2017, in Santa Rosa, Calif. A massive deadly wildfire swept through the area last week destroying thousands of housing and business. 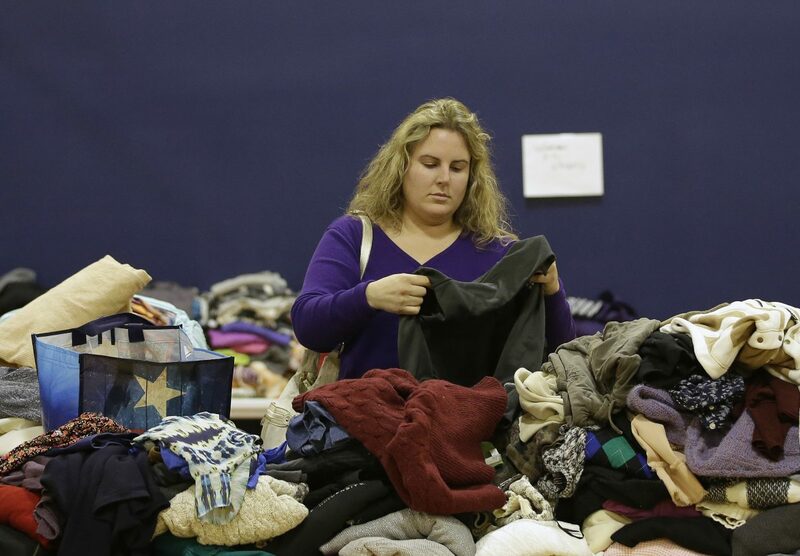 Jenna Latrache looks through clothes at a donation center for victims of the recent wildfires, Tuesday, Oct. 17, 2017, in Santa Rosa, Calif. Latrache lost her Coffey Park home when she and her family had to evacuate a week ago as a massive wildfire swept through the area. 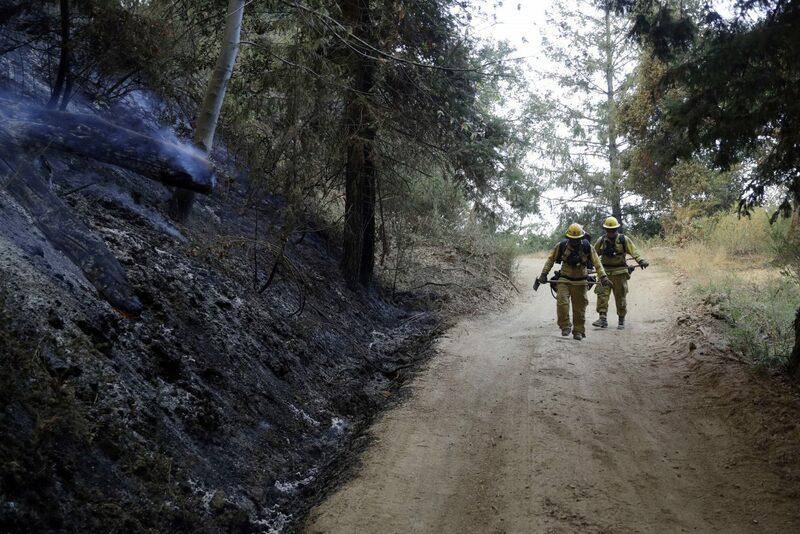 Crews walk along a fire road as they battle a wildfire Tuesday, Oct. 17, 2017, near Boulder Creek, Calif.
A firefighter is covered in smoke as he monitors a wildfire along a fire road Tuesday, Oct. 17, 2017, near Boulder Creek , Calif.
Capt. 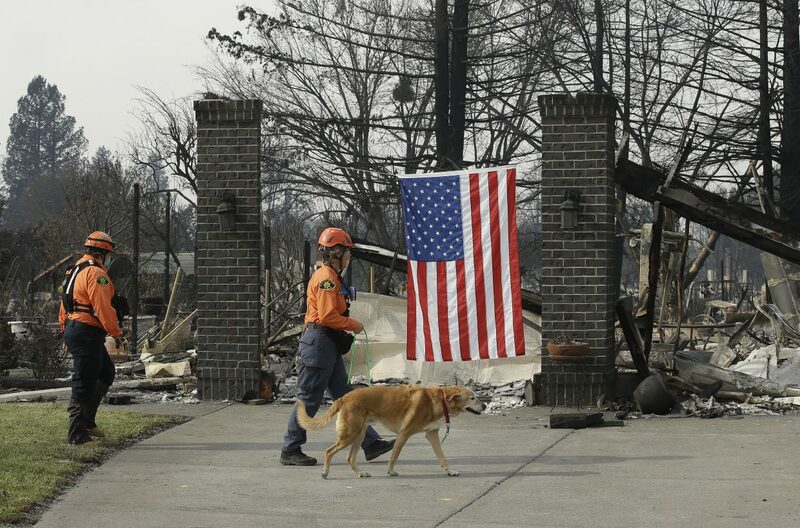 Fran Roelfsema, of the Alameda County Sheriff's Office Search and Rescue team and her search dog, Tioga, inspect a burned out home with team member Leah Waarvik, left, while searching the Coffey Park area, Tuesday, Oct. 17, 2017, in Santa Rosa, Calif. A massive wildfire swept through the area last week destroying thousands of housing and business and taking the lives of more than two dozen people. 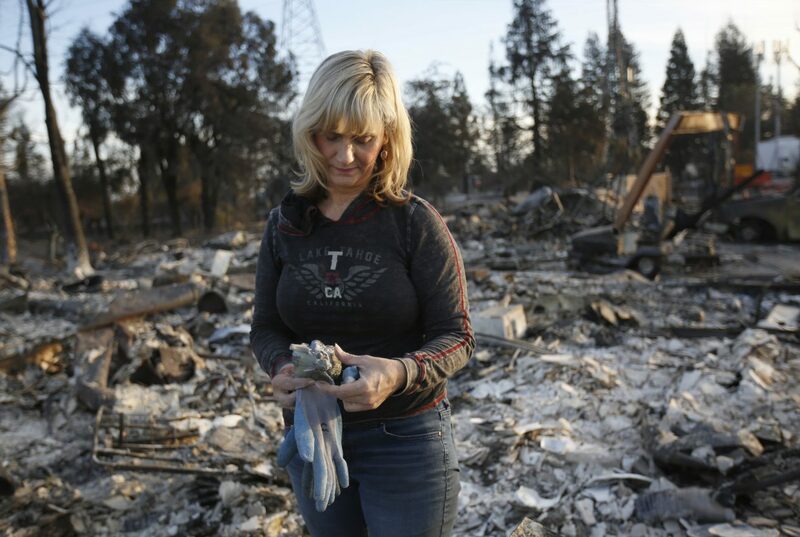 Debbie Wolfe stacks some china to take with her, that once belonged to her grandmother, found in the burned ruins of her home, Tuesday, Oct. 17, 2017, in Santa Rosa, Calif. A massive deadly wildfire swept through the area last week destroying thousands of housing and business. 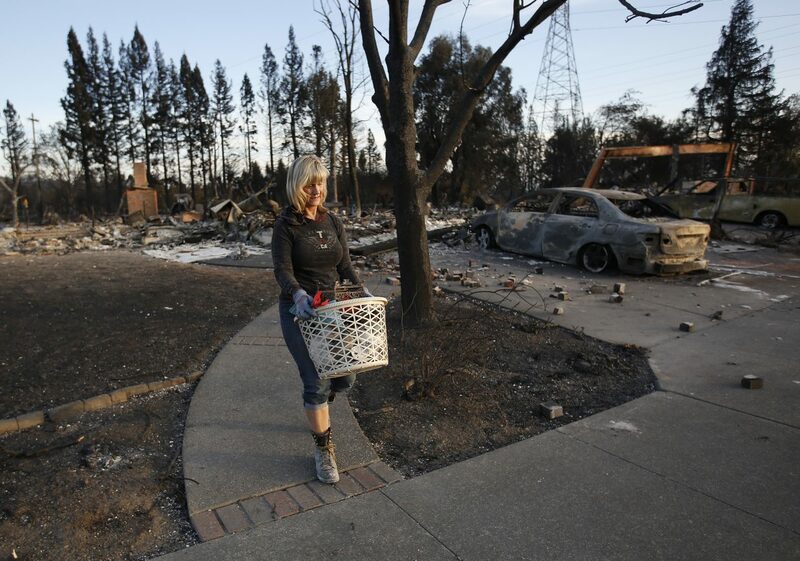 Debbie Wolfe uses a laundry basket to carry the few things she found that were destroyed in the burned ruins of her home of 30 years, Tuesday, Oct. 17, 2017, in Santa Rosa, Calif. A massive deadly wildfire swept through the area last week destroying thousands of housing and business. The Santa Cruz Mountains are covered in smoke from a wildfire Tuesday, Oct. 17, 2017, near Boulder Creek, Calif.
A fire burns near the summit of Mount Wilson early Tuesday, Oct. 17, 2017, northeast of Los Angles. Firefighters on the ground and in the air raced to protect the Mount Wilson Observatory and nearby communications towers from a growing brush fire. 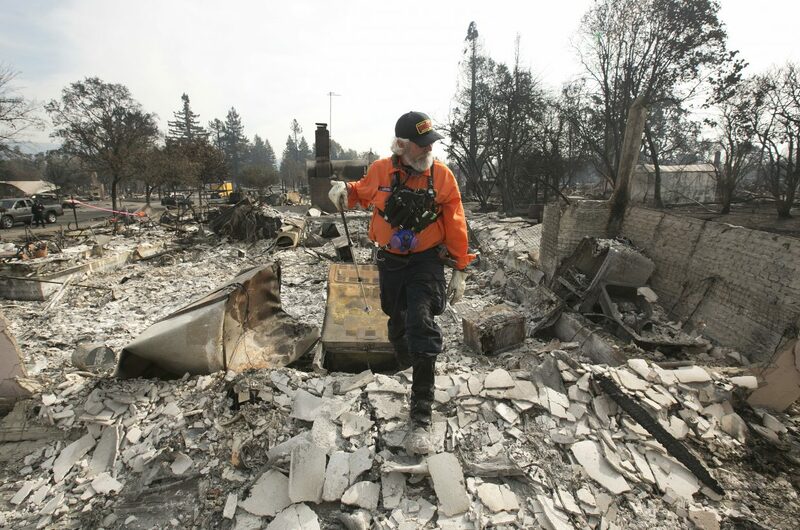 J. Petrocelli of the Alameda County Sheriff's Office Search and Rescue walks through the burned out remains of a home while searching the Coffey Park area Tuesday, Oct. 17, 2017, in Santa Rosa, Calif. A massive wildfire swept through the area last week destroying thousands of housing and business and taking the lives of more than two dozen people. 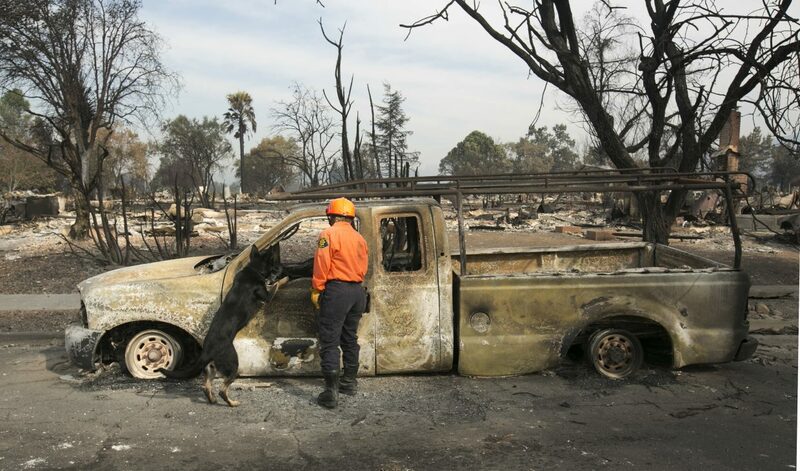 Shay Cook, of the Alameda County Sheriff's Office Search and Rescue team and her search dog, Zinka inspect a burned out pickup while searching the Coffey Park area Tuesday, Oct. 17, 2017, in Santa Rosa, Calif. A massive wildfire swept through the area last week destroying thousands of housing and business and taking the lives of more than two dozen people. A firefighter builds a containment line as he battles a wildfire Tuesday, Oct. 17, 2017, near Boulder Creek, Calif. 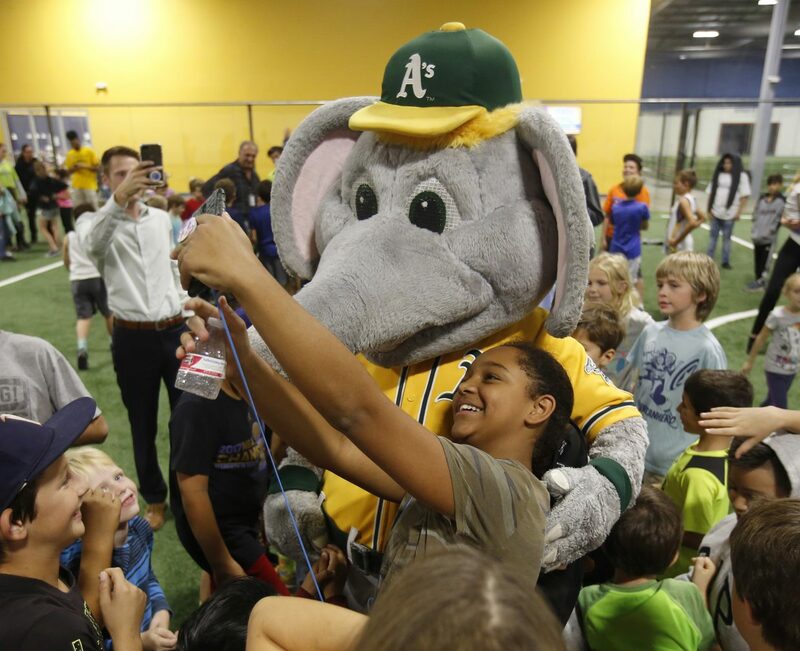 Deja Jones, 12, takes a selfie with Stomper, the mascot of the Oakland A's Major League Baseball team at the Epicenter sports complex, Tuesday, Oct. 17, 2017, in Santa Rosa, Calif. Stomper and A's catcher Bruce Maxwell visited the center and brought items for the kids at the center that has opened it's doors for the area children affected by the recent wildfires. Mehdi Latrache tries on shoes at a donation center for victims of the recent wildfires, Tuesday, Oct. 17, 2017, in Santa Rosa, Calif. Latrache and his family lost their Coffey Park home a week ago as a massive wildfire swept through the area. 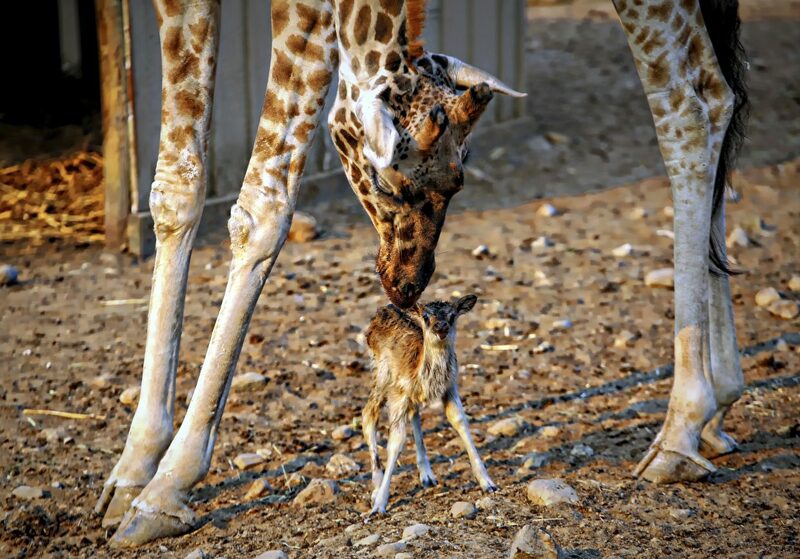 In this Friday, Oct. 13, 2017, photo provided by Will Bucquoy shows a newborn baby antelope enjoying the special attention by a giraffe at Safari West in Santa Rosa, Calif. The days-old endangered baby antelope born amid the Northern California wildfires has died. Aphrodite Caserta, spokeswoman for Sonoma County's Safari West, said Tuesday, Oct. 17, the cause of the animal's death is unknown. 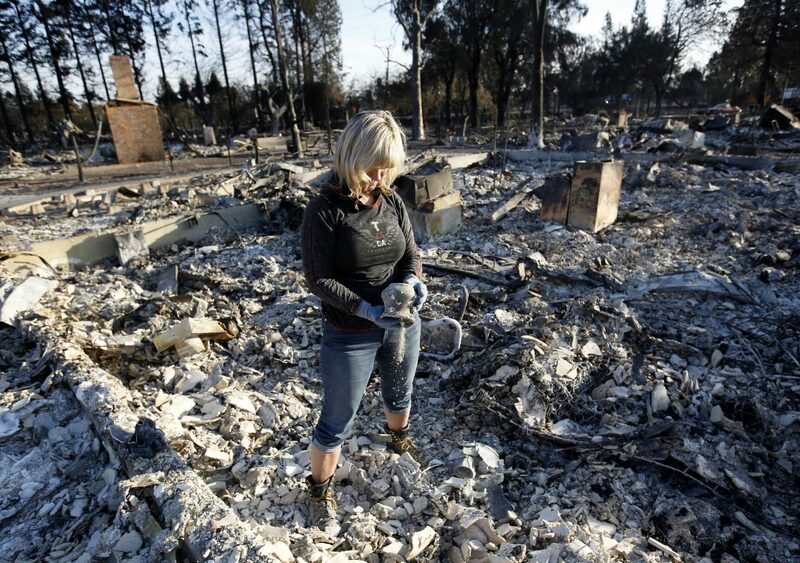 Debbie Wolfe dumps ashes from a pot she found in the burned ruins of her home Tuesday, Oct. 17, 2017, in Santa Rosa, Calif. A massive deadly wildfire swept through the area last week destroying thousands of housing and business. Fire crews are driven up a fire road en route to battling a wildfire Tuesday, Oct. 17, 2017, near Boulder Creek, Calif.
A fire burns atop Mount Wilson, seen from Pasadena, Calif., northeast of Los Angeles on Tuesday, Oct. 17, 2017. 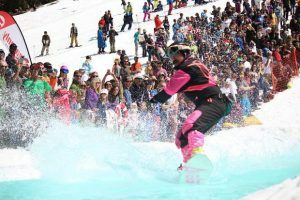 The fire erupted in the early morning on the 5,713-foot (1,741-meter) peak, near the region's TV and radio broadcast towers and the historic Mount Wilson Observatory. Jen Nadeau, a retired firefighter-EMT from Vallejo Fire is shown at a shelter in Petaluma, Calif., Tuesday, Oct. 17, 2017. 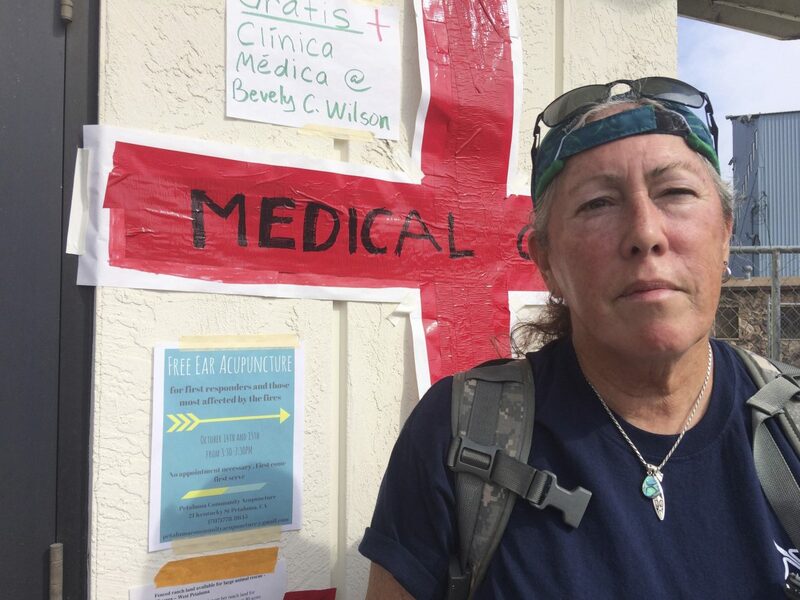 Nadeau has been volunteering at the shelter for fire evacuees in Petaluma every day since the fires broke out, helping people cope with anxiety and assessing their health needs. PREVIOUS COVERAGEClick here for previous coverage of the California wildfires. Tens of thousands of Californians have been allowed back to their homes, dropping the number of people evacuated by wildfires to 22,000. Nearly 100,000 people had fled their homes as deadly blazes whipped through Northern California’s wine country. The figure has been steadily dropping as authorities clear neighborhoods of safety hazards. Officials are urging frustrated residents to stay calm and not take out their anger on posted guards if they can’t get into neighborhoods. 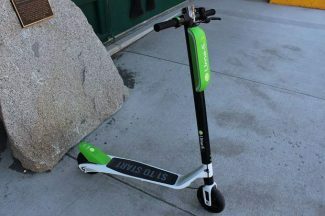 They say they’re trying to allow people into their homes as quickly as possible, but in some cases, it may take weeks. Light rain forecast in Northern California is expected to help firefighters battling the remains of wildfires that have burned for more than a week in wine country. National Weather Service meteorologist Ryan Walbrun said about a tenth of an inch of rain is expected Thursday night. 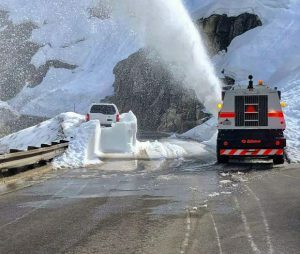 He said it won’t be enough to drench fires, but the precipitation combined with moist winds should help. 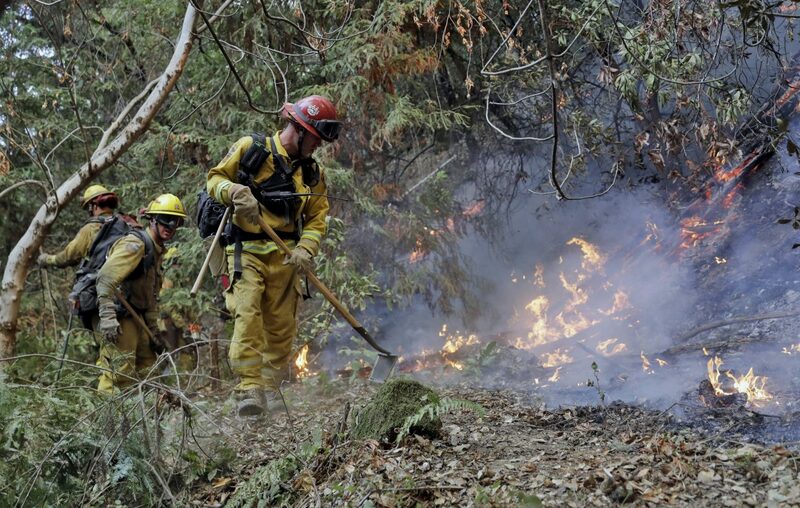 The fires were fed by dry winds after starting Oct. 8. The blazes have killed at least 42 people and destroyed thousands of homes. A spokesman for the Sonoma County Sheriff’s Office says he doesn’t expect the death toll to go much higher than 23 in the wine country county devastated by Northern California wildfires. 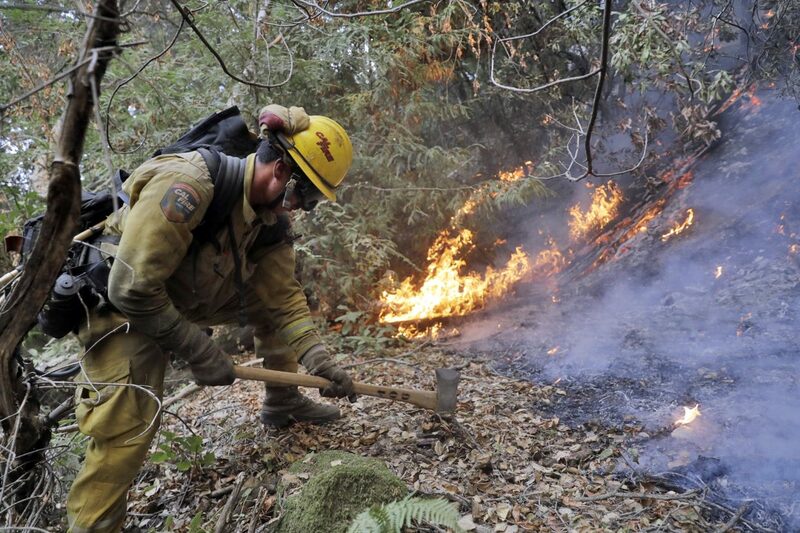 At least 42 people have died in wildfires that started Oct. 8, most of them in Sonoma County. Sgt. Spencer Crum said Wednesday that the “number of dead people we’re finding has really slowed down” and that many people listed as missing have been located safely. The death toll in Sonoma County increased from 22 to 23 on Wednesday after searchers found a body in the debris of a burned house in Santa Rosa. The last body was found Saturday. Half of the 53 missing person reports are for homeless people, and Crum doesn’t believe they perished in fires because they did not live in areas hardest hit by fire. He said many missing person reports are made by peopl e who haven’t seen the individual in years but thinks that person was last in Sonoma County. Napa County reported Tuesday that eight people remained on its missing person list. 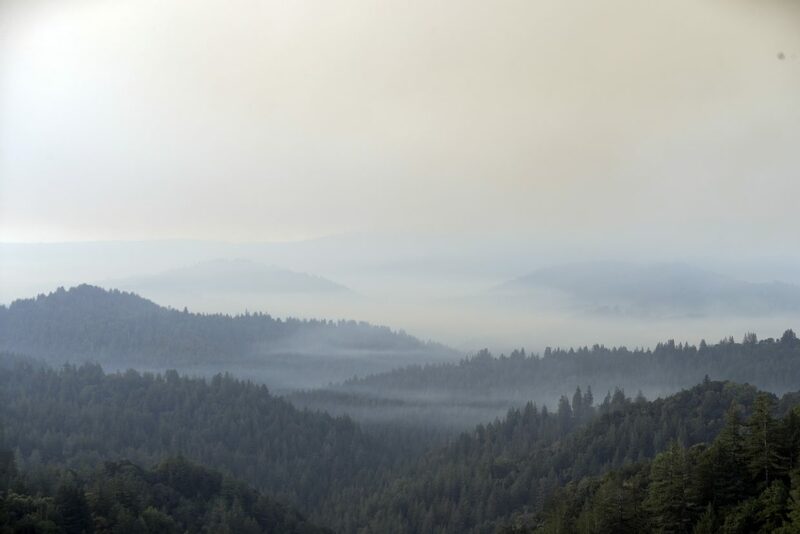 A sixth firefighter has sustained minor injuries battling a blaze in California’s Santa Cruz mountains south of the wildfires that have been burning for more than a week in wine country. 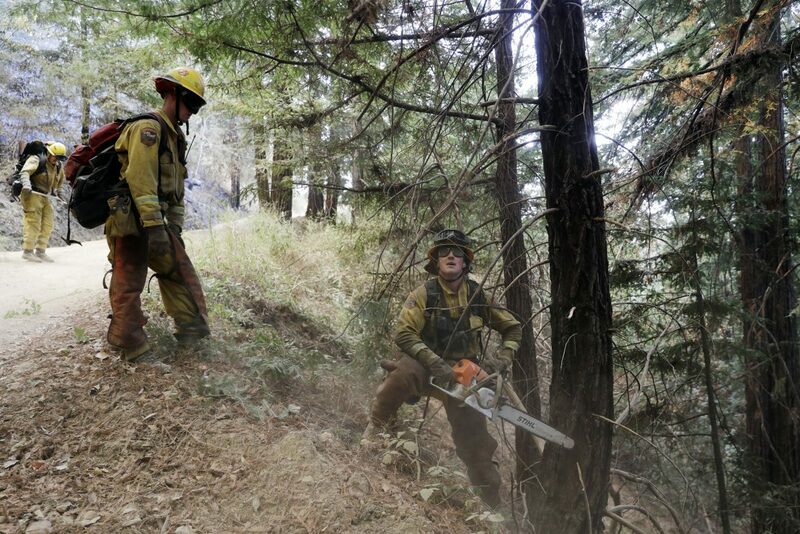 California Department of Forestry and Fire Protection spokeswoman Angela Bernheisel said Wednesday the firefighter is being treated for second-degree burns to his hands. Crews have been fighting the wildfire, which sparked Monday night, sending smoke into the coastal beach town of Santa Cruz. The wildfire has grown from 125 to 270 acres and four structures have been destroyed. 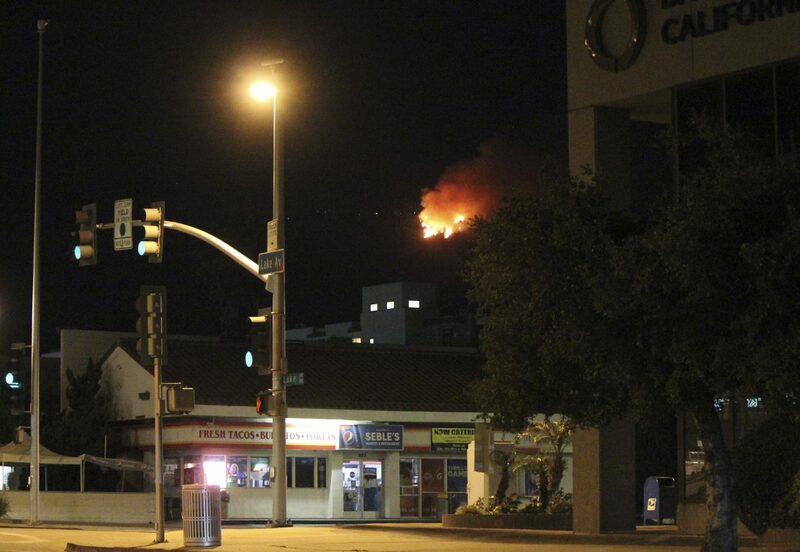 About 150 homes are threatened and residents have been evacuated. 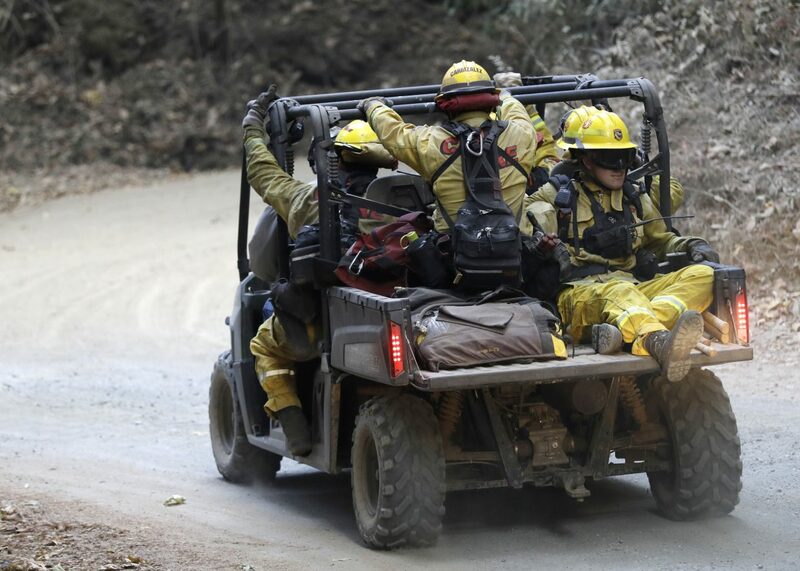 The rough mountain landscape has proved a challenge and contributed to firefighter injuries. 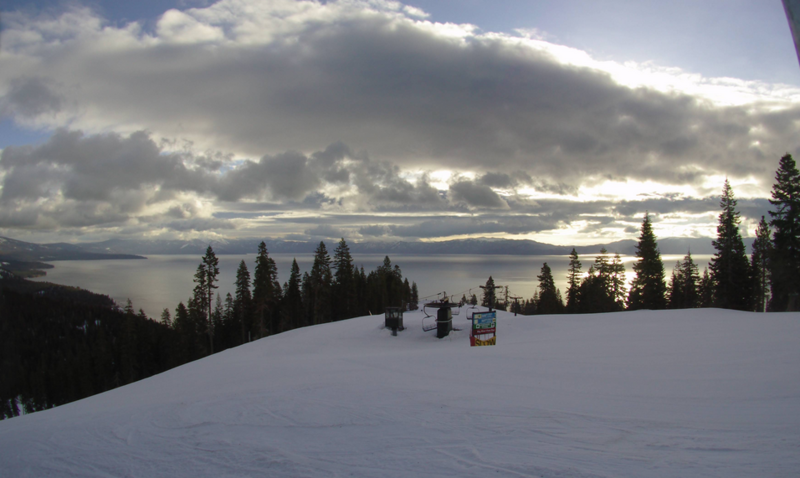 A firefighter fell down a steep ravine and fractured his wrist while three others slipped but were otherwise unharmed . An inmate firefighter was treated for smoke inhalation. The death toll from Northern California’s destructive wildfires is at 42 after Sonoma County found the remains of another person. Misti Harris, a spokeswoman for Sonoma County, says the department is working on identifying the person. Sonoma County now has 23 dead. About 60 people remain unaccounted for in Sonoma and Napa counties as of Tuesday. Authorities say they are conducting targeted searches for victims and the work is slow-going. The wind-whipped fires that started Oct. 8 swept through parts of seven counties, becoming the deadliest and most destructive series of blazes in California history. Authorities say fire crews made overnight progress battling blazes in Northern California’s wine country, helped by moderate weather and lack of wind. 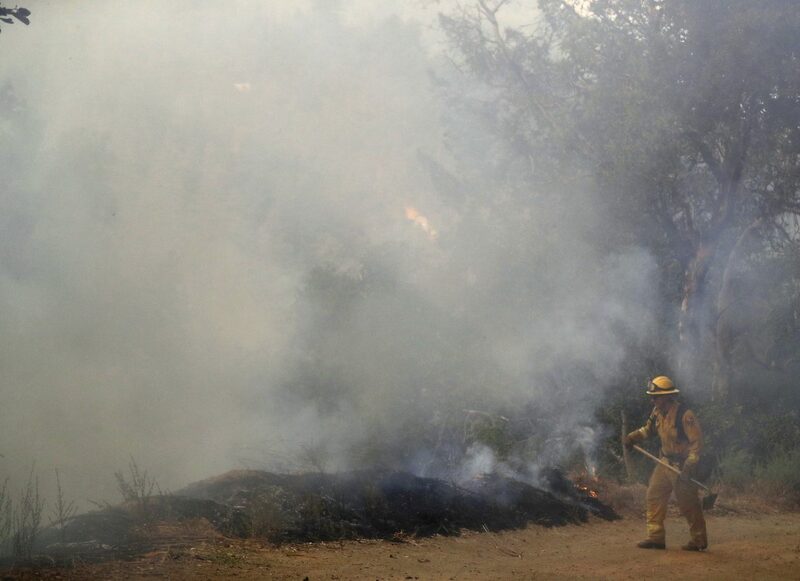 Daniel Berlant, spokesman for the California Department of Forestry and Fire Protection, says crews did controlled burns to wipe out fuel needed by wildfires to spread. Tens of thousands of evacuees are returning to their homes, although more than 30,000 were evacuated as of Tuesday morning. That number is down considerably from Saturday when an estimated 100,000 people had been forced out of their homes. The wind-whipped fires that started Oct. 8 swept through parts of seven counties, becoming the deadliest and most destructive series of blazes in California history. At least 41 people were killed and 6,000 homes destroyed. The many thousands who lost their houses, condos and apartments in wildfires burning in Northern California will have to find a new place to live in one of the toughest housing markets in the nation. 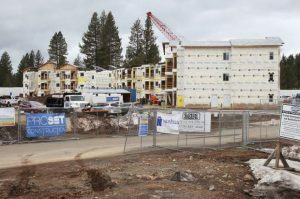 California also has a statewide housing shortage that the governor and legislature have been trying to address. That shortage got even greater with the 6,000 homes and businesses lost in the fires. Federal emergency administrator Brock Long said Tuesday that the blazes are “a tremendous event for an urban area to have to handle,” and recovery will be difficult. The challenges will pile on to the physical and emotional toll of the fire’s victims. At least 41 people were killed in the fires that broke out eight days ago and continue to burn.